빙그레는 지난 4월 반려동물 전용 우유 브랜드 ‘빙그레 에버그로 펫밀크’ 3종을 출시하고, 기존의 신뢰감 있고 친근한 기업 이미지와 함께 에버그로 펫밀크만의 차별적 제품 특성을 강조하는 브랜드 런칭 캠페인을 진행하고자 했습니다. 에버그로는 빙그레와 건국대 수의과대학이 공동 연구를 통해 개발한 제품으로, 타 브랜드 제품과는 차별화된 반려동물 전용 맞춤 유산균 2종이 첨가되어 반려동물의 장 건강으로 인한 반려인의 건강까지 고려한 제품입니다. 기존 펫밀크 시장이 타 반려동물 간식 카테고리에 비해 뚜렷한 구매 명분이 없어 낮은 성장세를 보이고 있던 상황에서, 우리는 반려동물 전용 유산균이라는 제품적 특성과 ‘반려동물의 장 건강, 그 결과 반려인이 얻을 수 있는 행복’이라는 소비자 베네핏을 강조하여 에버그로를 펫밀크 시장 내 새로운 No.1 브랜드로 자리매김하고자 했습니다. 캠페인 영상에서는 반려인들이 반려동물로 인해 미소를 짓게 되는 상황에 ‘빙그레’라는 카피를 더해 브랜드명이 자연스럽게 노출되게 했으며, 실제 반려인 모델들을 활용하여 반려동물과의 교감, 그리고 제품을 맛있게 먹는 반려동물의 모습을 보여줌으로써 대한민국 1천만 반려인들의 공감을 유도했습니다. 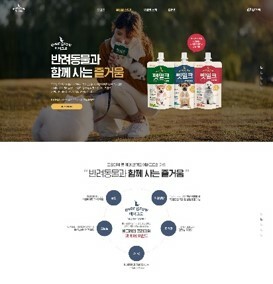 Binggrae launched 3 types of “Binggrae Ever Grow Pet Milk”, its exclusive milk brand only for pets, in April and needed to execute brand launching campaign to reinforce its existing credible & familiar image as well as the differentiated characteristics of Ever Grow. Ever Grow was developed by a joint research between Binggrae and college of veterinary medicine of Konkuk University. It is differentiated against other brands by adding 2 types of exclusive & customized lactobacillus to maintain the intestinal health of pets and the health of their owners as the result. The pet milk market has been gaining relatively lower growth due to the non-existence of clear reason to purchase. In such circumstances, we tried to position Ever Grow as the no.1 brand in the market by emphasizing the benefit that the product contains exclusive lactobacillus and that it delivers the happiness to pet owners driven by the healthy intestines of their pets. In the campaign film, the brand name of Binggrae* was added to the copy describing the circumstances where pet owners would smile thanks to their pets. In addition, actual pet owners were utilized as models to show their connection with their pets and their pets enjoying the product was featured naturally which drove the emotional bond with 10 million pet owners in South Korea. *Binggrae is a Korean expression that is commonly used to describe a smile.